I have been a bit obsessed with Suffragette books of late and was very excited indeed to have two books drop through my door recently which were both YA books and focused on Suffragettes. It’s 1912, and Mollie Carberry’s life in the relatively new middle class north Dublin suburb of Drumcondra seems very boring. Then she notices that her older sister Phyllis and the family’s maid Maggie are plotting something. They discover a stash of leaflets demanding votes for women. Phyllis has joined the suffragette cause! Will Mollie get involved too? And how far should a girl go for her beliefs? Mollie Carberry is a suffragette! Well, sort of. Mollie and her best friend Nora have been bravely fighting for women’s rights – even though no one else really knows about it. But when they hear a big protest is being planned, they know they have to take part. 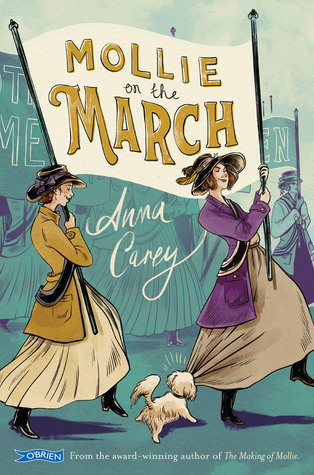 If only they didn’t have to worry about Nora’s terrible cousin, her awful brother and her neighbour’s very annoying dog … An engaging story about a strong and intelligent girl fighting for the right for women to vote. I really enjoyed these books. They are a duology the second leading on directly from the first. Both are told via letters written by Mollie to her friend who is away at school. 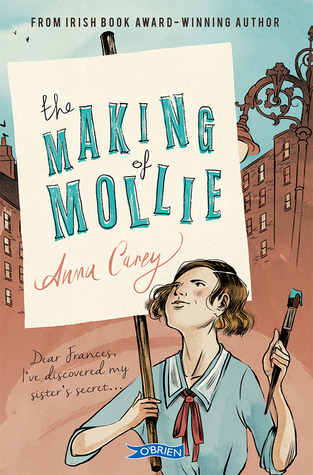 Mollie's older sister is a suffragette and because of this finds herself drawn into the cause. I was fascinated by the story as it gave a real insight into the movement through new eyes. I also enjoyed it because the story was focused on particular on the Irish Suffragette movement which I knew very little about but was so incredibly interesting. I found both engaging throughout and I loved a glimpse into the historical period of life and society in that period just before the first world war.